As Chief Information Security Officer (CISO) of RigNet, Keith Frederick brings over 25 years of experience in information security systems design and analysis. 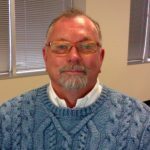 Keith specializes in the areas of cybersecurity engineering, risk management framework, and industrial control systems. Accomplished at developing technical, governance, and compliance aspects of information security with a focus on improved performance and reliability, Keith has delivered several enterprise level programs aligned with business objectives and risk management. Before RigNet, Keith served as CISO of the Computer Network Assurance Corporation and led a team of security professionals specializing in the development of comprehensive information security solutions for commercial organizations and the United States Department of Defense. Keith is the published author of “Authorizing Official Handbook for Risk Management Framework (RMF)” and “Independent Testing for Risk Management Framework (RMF): Assessment Test Plan (ATP),” as well as many industry trade publication articles.